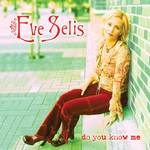 Sign up for Broadjam today to follow Eve Selis, and be notified when they upload new stuff or update their news! An anthem for the "everyday angels" in our midst. Already a theme song for several charities. The title track from Eve's brand-new CD. Produced by Kim Patton-Johnston. We were in Nashville writing and looking for songs the week of 9/11/01. This song was one of 120 we brought home with us and we didn't realize what a gem it was until later. This song has been my personal anthem for over a year now and I'm so proud to be able to sing it. I love you, Kimmie. Thank you for all of your many gifts. A cute and raucous song about convincing the one you love to love you back. A song about getting out, moving on, leaving the past behind. Spiritual rejuvenation. A song of hope and reconciliation.